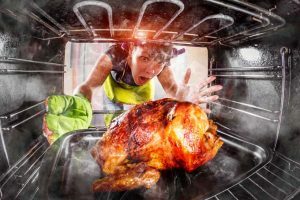 But the high amounts of butter, eggs, flour, and sugar used in a traditional recipe for these citrus-infused treats don’t play along nicely with a strict diet. Good thing we here at Foodal like to experiment with healthier alternatives! 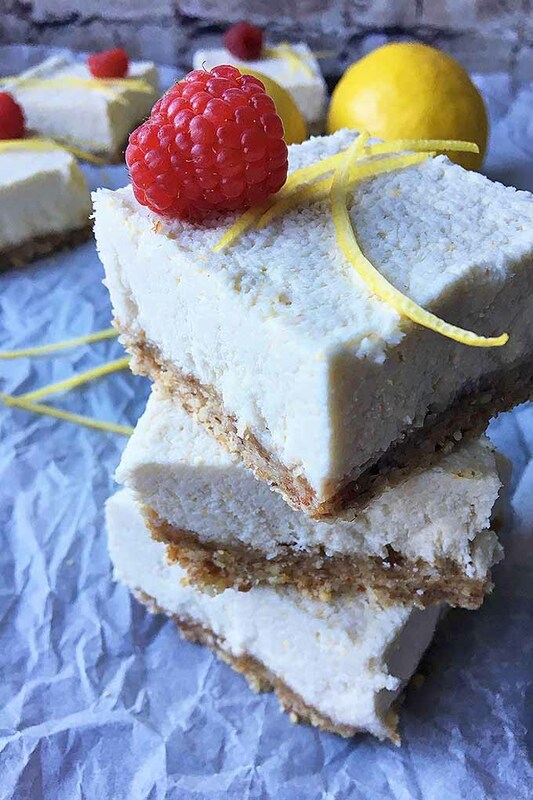 You’ve enjoyed our recipes for paleo carrot cake cupcakes and gluten-free chocolate chip cookies – now give our healthy version of lemon bars a try. 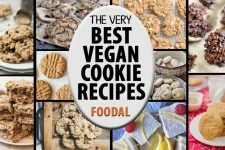 Our recipe is vegan, raw, and organic. 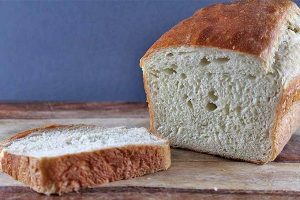 And it’s also free of gluten, dairy, eggs, and refined sugars, ideal for those who are living with some of the major food allergies. So, yes, these treats will have a different look, taste, and texture than the traditional lemon bars you might be used to eating. But they are just as delicious, and you can feel good about eating one or two of them. 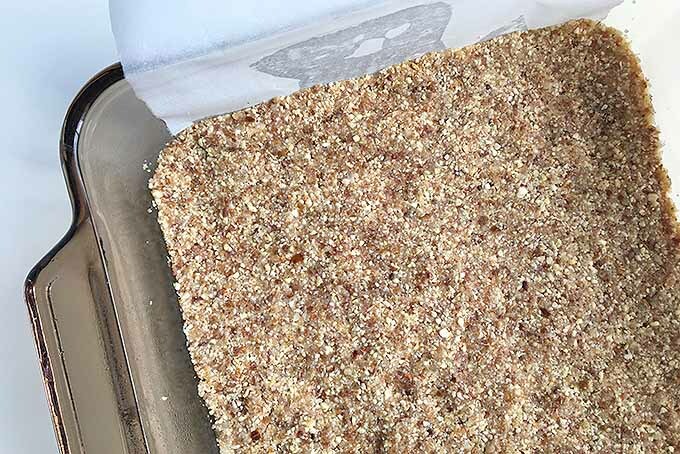 The chewy, soft crust is made with a mixture of raw almonds, cashews, and dates. 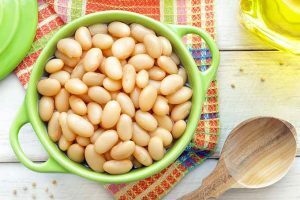 The nuts are perfect nutritional sources of protein and healthy fats, and the dates are a great alternative to processed sugars, as they contain fiber, iron, and potassium. The creamy filling has a base of cashew nuts and coconut cream. Both help to thicken the mixture, and provide a creamy texture. 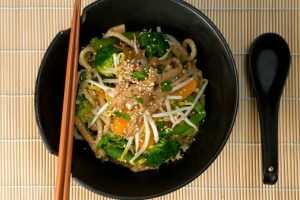 Cashews are very popular amongst advocates of vegan and raw diets, because their high fat content creates a rich and creamy texture when blended in a food processor. 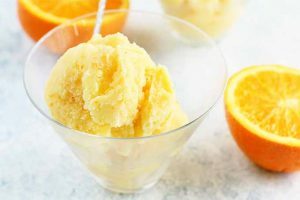 And with the flavor of fresh lemons in the filling, you’ll get the full impact of this citrus’s zingy flavor that certainly can’t be replaced by any bottled variety, especially when you include the zest from the peels. Let’s satisfy that sweet and tangy craving – make our recipe now! 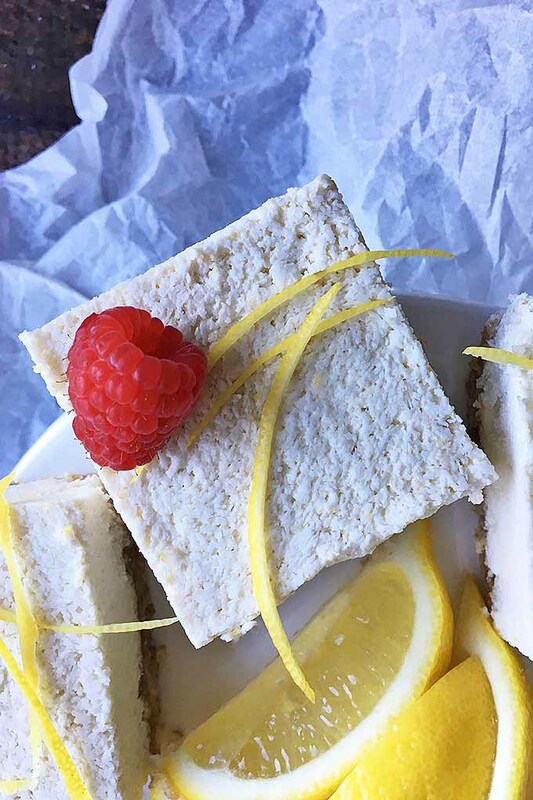 Love lemon bars, but looking for something healthier? 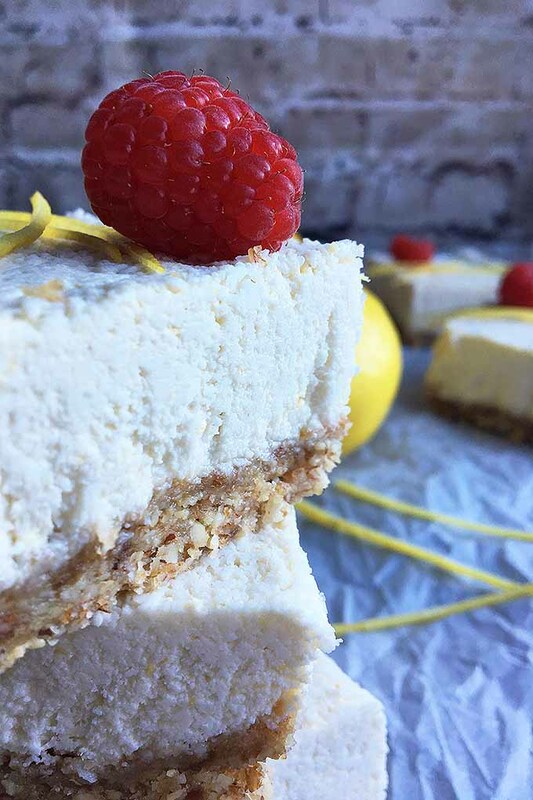 Pucker up to our no-bake vegan version of this citrus-infused dessert. 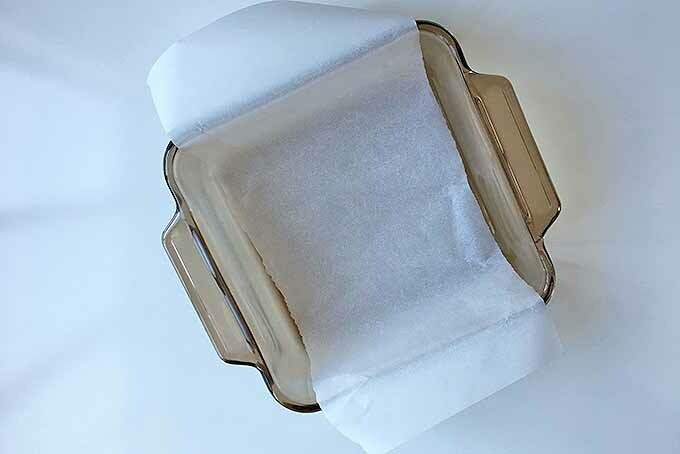 Line an 8x8 square baking dish with parchment paper, leaving enough paper on two ends to drape over the pan. 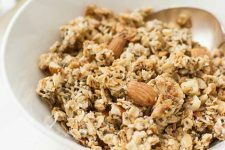 For the crust, add the 3/4 cups cashews, almonds, coconut flakes, and salt in a food processor or blender. Process until the nuts are in very small pieces, similar to coarse flour. Add the dates, and process until the dates have evenly incorporated into the nuts, and the mixture is sticky. If the mixture is too dry to stick together, mix in a teaspoon of water. Pour the mixture into the prepared pan and pat down with your hands until evenly distributed along the bottom of the pan. For the filling, drain the soaked cashews and place in a food processor or blender. Process until a smooth paste forms. Add all the other filling ingredients and process until completely smooth, about a full 2 minutes. Scrape down and process again briefly. Pour the mixture evenly over the prepared crust. 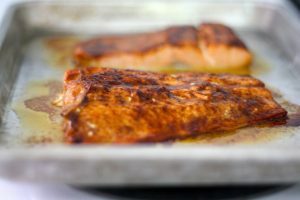 Refrigerate for about 4 hours, or until firm. If in a hurry, place the pan in the freezer for 1 hour. Garnish with lemon zest and berries, and serve! 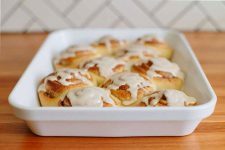 Line an 8×8″ square baking pan with parchment paper. 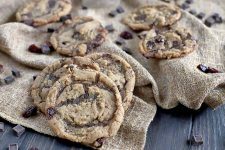 Be sure to use a longer piece of parchment paper, so that the paper can drape over two opposite sides of the pan, creating a sling. This will help you to easily remove the dessert once it has set. Combine 1 cup of cashews (for the filling) and cold water in a large bowl. Let the cashews soak at room temperature for about an hour to soften them. Juice and zest the lemons for the filling and final garnish. 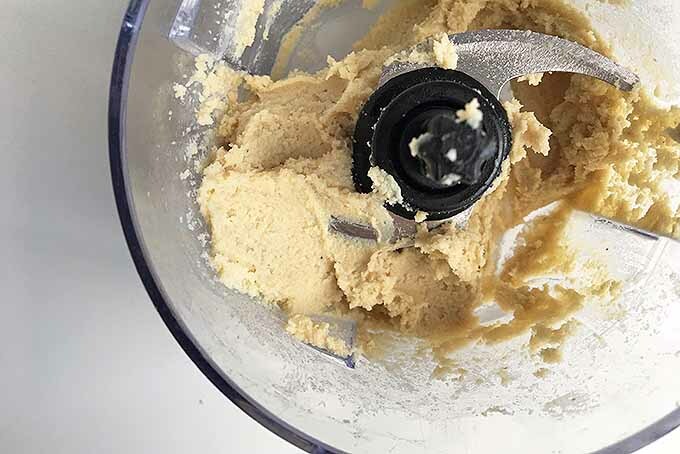 Place all crust ingredients, except the dates, in a food processor or blender. Process until the nuts are in very small pieces, like coarse flour. Add the dates, and process until the dates have evenly broken up and the mixture is sticky. Test by squeezing a small amount in your hand. The mixture should clump together. If it is too dry and won’t stick together, add 1 teaspoon of water at a time, pulse, and check again until it does stick. Don’t add too much water, or the crust will become soggy. Pour out the mixture into the bottom of the prepared pan. 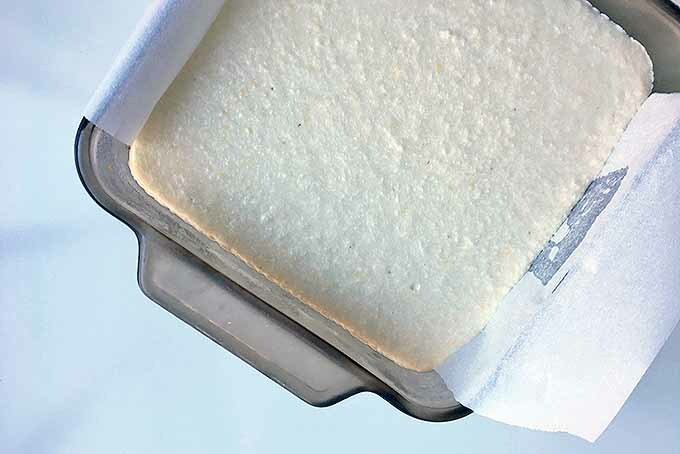 Press down with wet hands or a spatula to evenly spread the mixture along the bottom. Clean out whatever you used to mix up the crust. Then, drain the soaked cashews and place in your clean food processor or blender. Process until the cashews turn into a smooth paste. Add all of the other ingredients for the filling: the coconut cream, coconut oil, agave nectar, vanilla, lemon juice, zest, and salt. Process until completely smooth, about 2 minutes. Scrape down with a spatula, and process again briefly. Evenly pour the filling over the prepared crust. 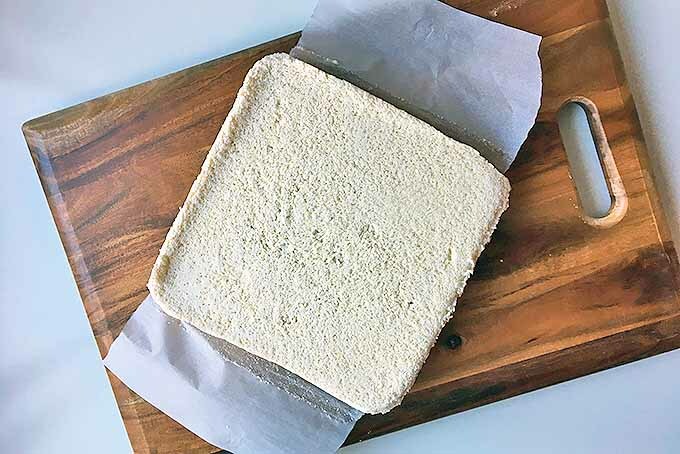 Refrigerate for about 4 hours, or until firm. If you’re in a hurry, place the pan in the freezer for one hour. Using a sharp knife, carefully separate the set bar from the edges of the pan. Using the extra parchment paper draped along the sides, slowly lift the bar out of the pan. 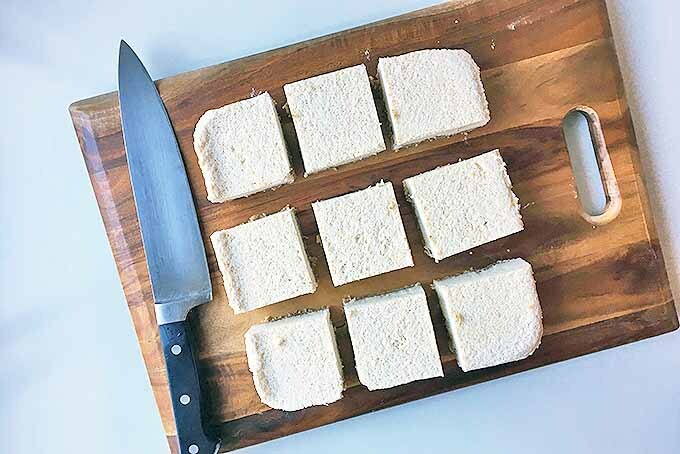 Cut the bar with a knife on a cutting board into 9 even large squares, or 12 smaller squares. 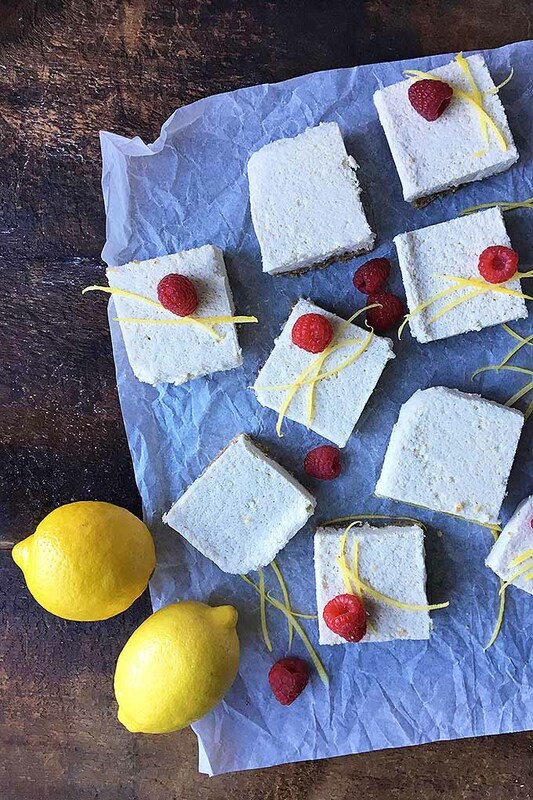 Serve the squares with a garnish of lemon zest and fresh berries. 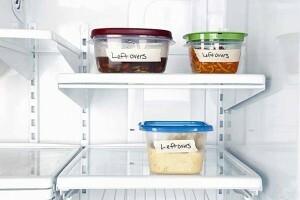 Store any leftover squares in an airtight container in the refrigerator for up to 4 days. 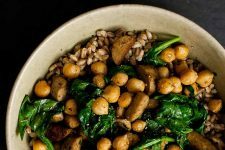 If you’ve been eating a raw or vegan diet for years, or are just starting down the path of health and wellness, this recipe will be a fresh addition to your menu. 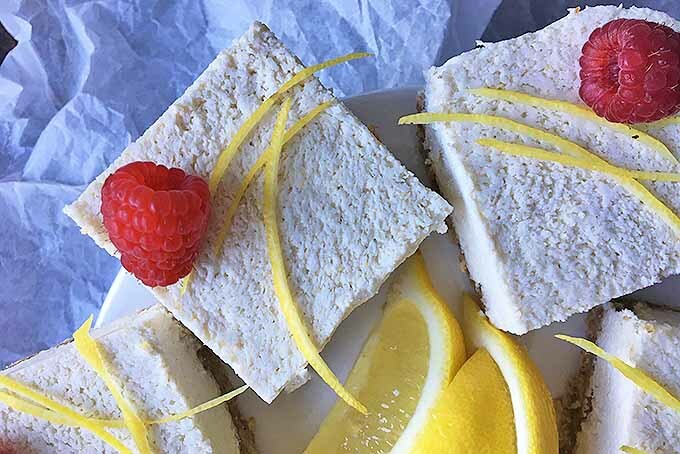 While traditional lemon bars may not fit within your diet plan, our version certainly will – not only are they raw and vegan, they also don’t contain eggs, dairy, flour, or refined sugars. Enjoy them with your favorite fresh fruit to serve on the side – any kind of fresh berry is a perfect pairing with this dessert. They will still taste like a treat, and we know you’ll love their wholesome goodness, all in a little square! And for other citrus-happy finales to a meal, try our vegan key lime whoopie pies, or our gluten-free mandarin orange cake. What are your own sweet vegan adventures? Do you have any recipes to share with us? Let us know in the comments below. Photos by Nikki Cervone, © Ask the Experts, LLC. ALL RIGHTS RESERVED. See our TOS for more details. Originally published April 14th, 2015 by Sarah Hagstrom. Revised and updated September 22nd, 2017. Wow, these look amazing. I don’t follow a raw diet but do include aspects of it in my diet, so have everything except for the macadamia nuts. A quick question though. Is the only lemon flavour from the lemon zest on the topping? I was wondering if there should be some lemon juice in the filling as well? Anyhow, I think I can see a treat finding its way on to the menu next week. thank you or sharing this recipe I will also be passing it on to my brother-in-law who does follow a raw food diet. I don’t follow a raw diet either, but I had to open the page because the picture looked so good. I should never log onto this site when I haven’t eaten yet, lol. Now, I want lemon bars for breakfast! 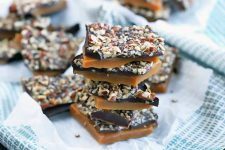 These look really delicious, and if they are healthier too, I might just have to try making some. My daughter will just love these. She really needs to get her computer fixed, so I can just send her over here. Alright, these are pretty awesome. I’ve always loved tart desserts myself and these look to be pretty delicious. I haven’t actually had lemon bars before but I’ll try to make some this weekend and see how they taste. Hopefully my wife and kids like them. 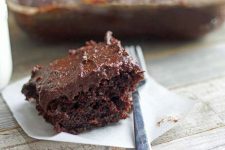 What a great vegan recipe and perfect as a dessert or tea time snack. I will pass this on to my vegan friends who are always looking for healthy treats. Lemon is one of the few fruits I like, so this is perfect for me to try and to eat. I’m kind of confused by this one. 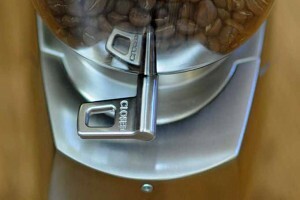 So, the image associated is what this will look like after it’s made? How is it you’re getting the colour that way with those ingredients? Other than that I’m super excited to try this one out. Making desserts healthier is something I always like to do. I have never had lemon bars. 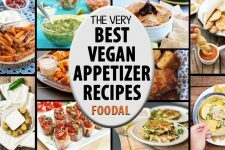 You are my kinda girl though, because I am vegan and always looking for these types of recipes. The fact that it has no sugar and uses healthy oils, is just so wonderful. I also have never heard of coconut butter, but it sounds perfect. I learned to make coconut milk right here on this site, and I am ecstatic about it! Looking at the recipe, I am surprised there is no lemon juice in the filling. The zest must be a powerful flavor in its on right. 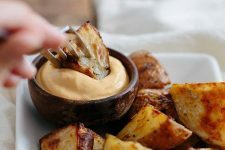 I will definitely be trying this recipe and sharing this post with my vegan friends. We have updated our recipe to include both lemon juice and zest – give our new update a try! You’ll love the fresh, citrus flavor! These are definitely worth trying! The benefits are exactly what my family and I need… Particularly the weight loss for me. I am really curious and can’t wait to see what they taste like. Lord knows I love lemon squares anyway! 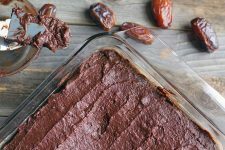 I love no-cook recipes and these bars are a great healthy treat! 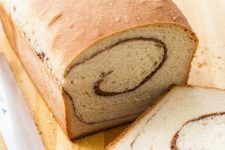 Would you be able to make these around a week in advance, without the topping and leave in the freezer until needed or would this affect the quality? I love lemon bars, and my mother-in-law makes really good lemon bars so I’ve always wondered what her trick was…somehow I can’t get the middle to set! I love this recipe though because it seems to be gluten free, which is great because my co-workers are gluten free but they LOVE lemon bars. Though my only concern is that I’m not used to cooking with all the ingredients listed, so I’m afraid I’ll screw up 🙁 Plus some of the ingredients sounds like they can be pricey; any idea where to get them for a good price and/or cheap? Wow, I gotta say I love that it’s sugar-free and super healthy WITHOUT giving up the taste. 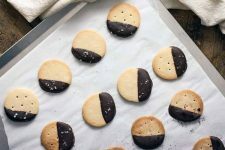 These are perfect for a snack during the day or even a picnic I think. How long do they store in the fridge for? Can I make a big batch and just keep them in the freezer? I have heard about lemon bars, but never had them. Now you have given me this health conscious recipe to try out and make my own lemon bars. I love lemons, so I am sure I will love these. I have been dying to try them out for the longest time. Every time that I see lemon bars I think of Game of Thrones. I love love love lemons but for some reason I do not like desserts with lemons in them. At first I thought it was because of the artificial lemon taste but i feel the same when I make it from scratch. I do not know what it is but I think that I may be giving lemon bars a try again. The only thing is this recipe, other than the lemons, that I am not sure of is the almonds. I only like them 1/10 of the time but the picture looks so good I am willing to give it a try. I never had coconut milk or butter but I like coconuts so that’s cool too. These look so good! I loved that you put your own personal memory in the post. It just makes everything seem homey. My boyfriend loves lemon bars and anything else lemon. We are also wanting to eat healthier. We haven’t eaten anything like this yet, because it wasn’t healthy. I love anything coconut. ( I almost commented on the your recipe for coconut macaroons!) So, mixing the coconut with the lemon is perfect for us! I can’t wait to try this! I’ve never tried lemon bars but i always wanted to make it. I wonder though if I’ll be able to source some of these ingredients. 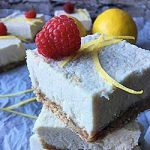 I am not on a raw diet, but love raw desserts since they are more healthy and don’t contain many processed ingredients like normal desserts do. Thank you for pointing out our small error! We have updated the recipe, to include both freshly squeezed lemon juice and lemon zest, for that extra punch of zingy flavor. Yummy lemon squares. That’s what I always called them, but I’ve never made them before. I would prefer them without the nuts, cashews and almonds though. The coconut sounds good on top! Making the crust would be difficult for me since I’m still a beginner. I would be better off buying the crust. I love lemon bars, or cake, or cookies. Anything flavored with that particular fruit is fine by me. As someone above mentioned, I too would prefer these bars without the nuts, mostly because my husband is allergic to tree nuts. Other than that, however, this recipe sounds delicious and I can’t wait to try it. My grandma also prepares lemon bars for us! They are her main dessert on Christmas, another reason to love that holiday :). But yes, as you’ve said the guilt after eating a couple of them is always there, I’m not on a diet but it’s good to always look for healthy ways to eat desserts, and this is a great recipe for that, I really liked he way that you used substitutes for every ingredient instead of cutting them off, I will try to make them for my grandma’s birthday, let’s see if they notice the difference. NO bake recipe! This is love. Baking is not my strongest suit, and thus discovering this recipe is a great gift. It’s something anyone can try. While I’ve a sweet tooth, I’m very much willing to try this out. I’ve never tried using ‘dates’ as the main sweetener. I’m very much curious how it will turn out. If the pictures are to be any indication of their taste, then there’s something to look forward here. The bars just look so awesome to bite! 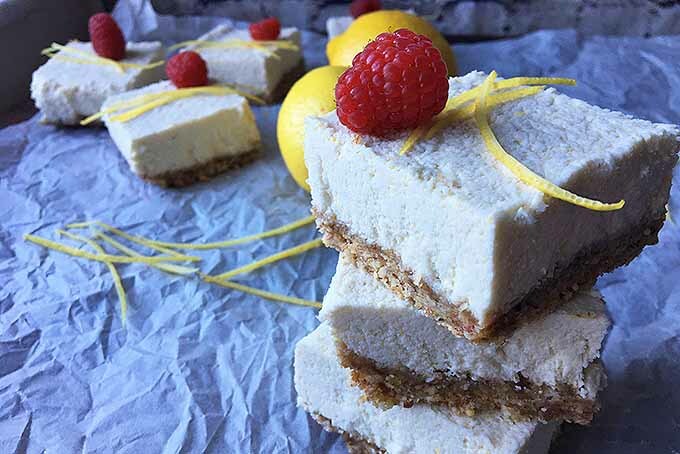 I love most things lemon so will have to try these – and my vegan daughter will appreciate the ingredient list 🙂 Just yesterday we decided to make a treat at home and my son insisted it was lemon flavoured so I wouldn’t be the only one enjoying these bars! And our friends/neighbours have a prolific lemon tree so we can use fresh lemons, too. I didn’t know there was such as thing as coconut butter – I’ll have to find that and give it a try. Likewise I’ve never heard of vanilla bean powder either (extract and the beans, of course, but not a powder) – is that easy to find? Only thing I see is lemon zest on top no lemon in the filling? Carol, thank you for pointing out our error. We have recently updated our recipe – these dreamy delights now include both freshly squeezed lemon juice and zest! We hope you enjoy them! How much is one can of coconut cream? What size can?